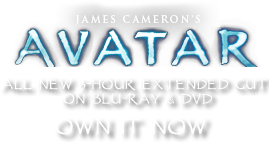 Child's Bow and Arrow | Pandorapedia: The Official Guide to Pandora | Own AVATAR on Blu-ray & DVD Now! Function Small, simple configuration for children to learn to use bow and arrow. Size and Weight Roughly one meter, one kilogram. Materials and Construction Shaped wood, decorated with twine, rope, color pigments. Notes Although less powerful than adult version, even a young Na'vi child can shoot arrow with startling, lethal accuracy. Definitely not a toy, but instead a well-crafted tool for training.